The new frontier in beta-lactams antibiotics inactivation. 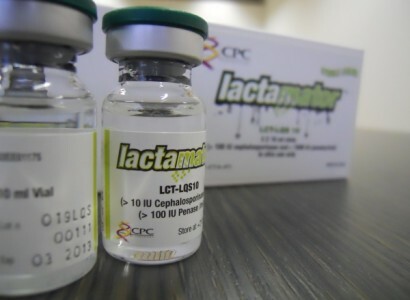 Lactamator™ is an innovative enzyme based product developed by CPC Biotech and specifically designed for the inactivation of a wide range of beta-lactam antibiotics. 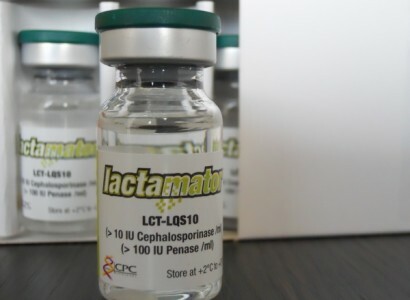 Lactamator™ is the most powerful product available on the market that can inactivate pencillins, cephalosporins of first, second, third, fourth and fifth generation and Penems. 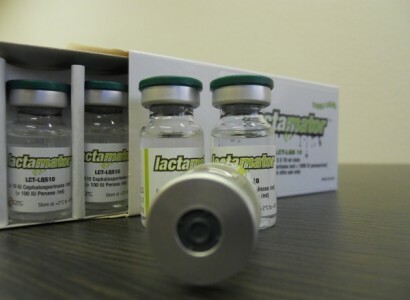 Lactamator™ inactivates the widest range of beta-lactams antibiotics (penicillins, cephalosprins of first, second, third, fourth and fifth generation and penems). Just one product for the inactivation of a wide range of beta-lactams antibiotics. 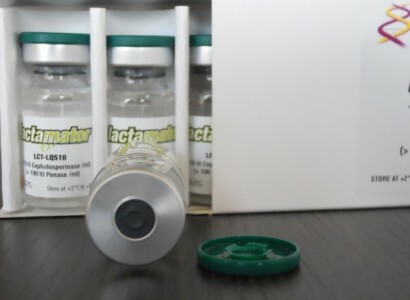 Lactamator™ is available as lyophilized non sterile and sterile powder and now also as a STERILE LIQUID solution. Code: LCT-5 IR: 10 vials each of which contains > 50 IU of cephalosporinase and > 500 IU of penase. The product is sterile by β-irradiation. Unit definition: 1 IU is defined as the amount of enzyme that catalyzes the hydrolysis of 1.0 micromole of penicillin G (penase) or cephalosporin C (cephalosporinase) per minute at 25°C under the assay method conditions. One IU of penase corresponds to 600 Levy Units..